I have small hands. There, I said it. More specifically, I have shorter stubbier fingers. I have also always ridden bikes with Shimano shifters, and it has always been tough for me to reach the far lever to move to a bigger cog when I'm in the drops (the bottom curvy part of your road bike handlebars). Smaller cog, no problem, it's nice and close and easy to click. But that big lever has never worked for me from the drops. So most of the time I end up going up onto the hood to go up cogs, which stinks. Then I bought a new bike with SRAM Rival shifters. As many of you will know, they have "double tap" technology, so that little closer paddle does both the up AND down-shifting. If you move it one click, it shifts down a cog, if you move it two clicks it shifts up a cog. Here's a video that shows how it works. Lo and behold, I can stay in the drops and shift! Both ways! Comfortably! Ha ha of course not. 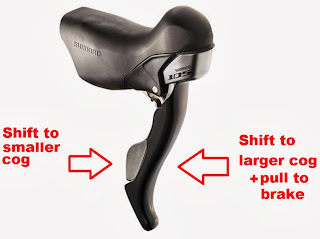 If it were, what would all the Shimano and SRAM fanboys on cycling forums do with their spare time? Ultimately I think it's just personal preference. 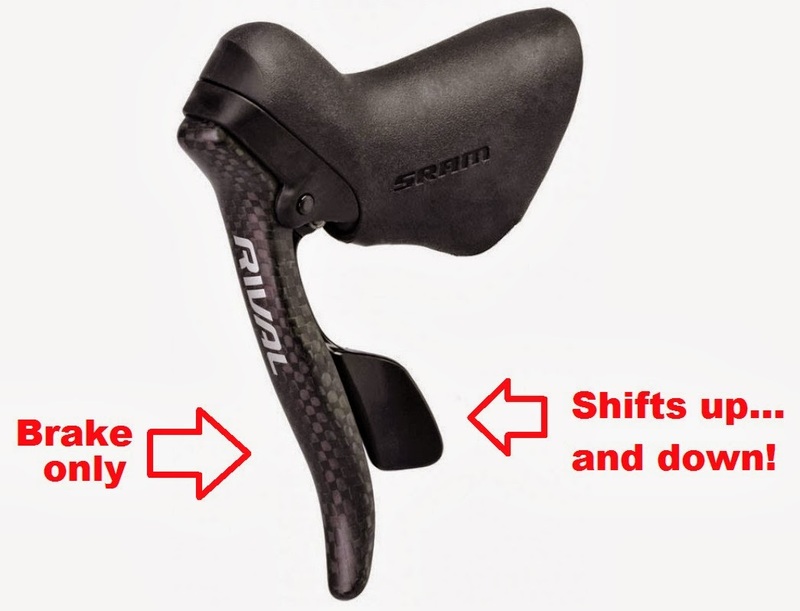 From a usability perspective, SRAM seems to work best for me.